The 6th Annual Golden Bagel Awards honored four outstanding members of the community who have, through sports and other endeavors, made significant contributions to the quality of life in the Bay Area. 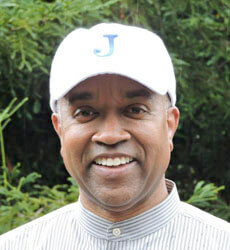 Donald C. Collins, the Commissioner of Athletics for the California Interscholastic Federation, San Francisco Section, serves as a sports consultant, and has advised numerous high school leagues and amateur sports officials associations. He has published more than 40 articles on sportsmanship, sports administration, sports officiating, and legal issues affecting sports officials. Collins recently collaborated with teams of officials on independent contractor legislation that makes committing battery on a sports official a crime. A member of MomsTEAM.com’s Team of Experts, and of MomsTEAM Institute’s Board of Advisors, Collins has been a frequent MomsTEAM contributor on such topics as officiating, violence in youth sports, and Title IX. Prior to his full-time work in athletics, Collins was a staff attorney for the United States Court of Appeals for the Ninth Circuit. The Jewish Sports Hall of Fame has honored many athletic coaches, but Barry Reich is a different kind of coach — a vocal coach. Cantor Reich has prepared upwards of 1,500 Jewish youth for their bar and bat mitzvahs. A fifth-generation Cantor, Reich has been serving as Peninsula Temple Sholom’s Bar Mitzvah and Tefillah teacher, as well as Choral Director, for nearly five decades. He is beloved by his students for his accessibility and good sense of humor. Cantor Reich first studied at The Breed Yeshiva in Los Angeles and later attended the Ross McKee Conservatory of Music and the San Francisco Conservatory of Music, where he earned a Bachelor of Music degree. He received his Hazzan commission from the Cantors Assembly of the Jewish Theological Seminary in 1979. In August 2007, Cantor Reich was awarded his Rabbinical ordination, or smicha, from the Israel Institute of Religious Studies. He is also a member of the Cantors Assembly. One of David Nigel’s indelible basketball memories was competing against the legendary Harlem Globetrotters in Manila. He scored 18 points, but while Globetrotter Meadowlark Lemon was guarding him, Nigel shot a layup, and momentarily lost his shorts. Quite a feat! Nigel’s first brush with greatness came as a member of the American High School Manila, Philippines Varsity Basketball Team. In 1957, the team won the National Collegiate Athletic Association (NCAA) Secondary School championship — the only American Team ever to win the national championship. Nigel has gone from championship team player of the City College of San Francisco Intramural Basketball League, to head coach at several Bay Area schools, to City of San Bruno Parks and Recreation Commissioner, to co-commissioner for the Jewish Youth Athletic League (JYAL). 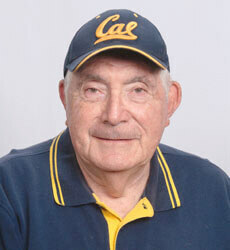 A dedicated teacher and administrator in both the San Bruno and Burlingame school systems, since 1970, Nigel has taught Holocaust Studies to seventh graders at Peninsula Temple Sholom in Burlingame. JCC Maccabi Sports Camp founder Josh Steinharter spent seven years as Athletic Program Manager for Youth & Coach Development at the Jewish Community Center of San Francisco (JCCSF), which annually serves more than 1,500 youngsters through teams, classes, camps, and select-level sports. 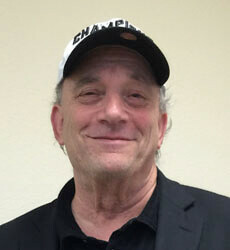 Steinharter helped grow the JCCSF Youth Basketball League from 300 to more than 750 athletes. He belongs to the JCC Association Merrin Fellowship for Teen Professionals, which helped fund the launch of JCC Maccabi Sports Camp. 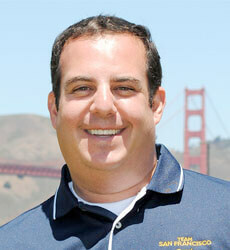 During his five-year tenure as Delegation Head for Team San Francisco at the JCC Maccabi Games, Steinharter recruited more than 250 local athletes and 55 volunteer coaches to participate in the 2009 JCCSF-hosted Games, and led delegations to San Diego, Detroit, Denver, Omaha and the first-ever Israel-hosted JCC Maccabi Games. As co-creator of the JCCSF Fellowship in Sports Leadership, Steinharter implemented a Coach-in-Training (CIT) program for high school upperclassmen that he would like to introduce to the JCC Maccabi Sports Camp.